As a freelance writer, one thing you’ll always get asked for is your portfolio or brand. Also, it is the most efficient way to show your potential clients that you know your stuff. Apart from it, building a rock-solid personal brand gives you an edge over your competitors, and indicates that you’re serious about your work. Considering a brand, you may already have created a professional looking Linkedin profile, a beautiful About.me page, and a Twitter handle. But there are more obvious and better ways to create a personal brand which looks engaging and feels more elegant. Pinterest is one such example. You may have always thought of Pinterest as social media for sharing Recipes, Wedding Photos, and Fashion related pins but it is much more than that. Various freelancers are making thousands each month from Pinterest by only promoting their services and brands to potential clients. And with the better odds of getting viral, Pinterest is one of the most durable social media channels. Pro Tip: I get hundreds of visitors from Pinterest each month without spending more than 10 minutes daily with the help of ViralTag (Review) to schedule pins. If you’re a blogger, then read my Pinterest Traffic Guide. In this post, I am sharing the seven best practices to build your personal brand on Pinterest and get hired by potential clients. The post isn’t targeted for a freelance writer only but for all types of freelancers out there. Yet, due to my experience in freelance writing, it will be presented from a view of the writer only. You can replicate the same with your field of freelancing work. Completing your profile is the first chapter of a brand for any social media channel. Your profile picture, bio, contact information, and the name of account plays a significant role in brand building. If your brand username is taken then try to use an underscore (_) sign to separate out two words. For a profile picture, use a high quality and attractive logo design which looks professional. The logo should leave a good first impression with the sense of authority. Bios can be tricky to write, and it’s sometimes hard to explain your services in few characters. Try to use the space in a right way and give as much of information as possible. Whether you’re an individual or a group of freelancers, having a business account is well worth it – especially when it is free. By having a business account, you can run ads on Pinterest, add your own business name as profile, and apply for Rich Pins – more on that later. Click on “Join as a business” to create a new account or use “Convert Now” button and log in to your account to convert it to a Business account. The process is pretty simple, and steps are mentioned. Rich pins on Pinterest may seem nothing but are very powerful. By applying for Rich pins, you improve your chances of getting viral, more repins, and more saves. Your pin title will be displayed right on the pins in bold, and you can also create buy-able pins. 1. Visit rich pin validator tool on Pinterest. 2. Enter the URL of any of the article, product from your site. 3. The tool will check your page and validate it against Rich pins requirements. 4. Once validated, if your blog is eligible, then there appears an option to validate Rich Pins. 5. If for some reasons, you got denied then make necessary changes as mentioned and apply again. A workaround is to add URL of product pages only which are instantly approved. 6. For non-e-commerce stores, install WooCommerce and add any random product to your blog then try it to apply for Rich Pins. The verification may take anywhere from few minutes to few days. Much like SEO (a process of optimizing pages to rank better on search engine results pages), you can optimize your Pinterest pins to appear higher for search queries. There’s no concept of link building and using many hashtags is a big no. Keywords optimization in the title and description of your pins is the only way to get better rankings. Pins with more repins, likes and comments are naturally placed higher – hence user engagement is an equally important factor. When a client views your profile, he/she doesn’t expect to see all business related pins. It actually matters who are you beneath and what is your interest. It may happen that you and your clients share the same interest which would help you create a better bond for long-term projects. When not talking about business, you guys could talk about common interests and keep the conversation going. Having good relationship can land you more clients as your previous clients would recommend you to some nerdy freelancers who aren’t fun. Being yourself will also keep you interested in Pinterest, and you wouldn’t get bored there. Create boards about the things you like, save pins, follow people while maintaining a sense of professionalism. If you feel shy or awkward to share your interest with the world, then you can create private boards which will be available only to you. Promotion and Spamming are two eggs of the same bucket separated by a thin line of relevancy. Promoting is when you promote your services to targeted users who might actually be interested in it. While spamming is blindly sharing your services with everyone – I repeat everyone – without knowing their requirements. You want to be on this side of the line and promote your services to limited yet interested users. Reaching out to clients using messages and comments, pinning to related group boards, and ads are some ways to promote your services on Pinterest. Remember that Pinterest is a visual social media, and you can grab attention only when your pins are visually appealing. Also, the maximum numbers of users are women so you might have to ask your female friends for suggestions while designing pins. Group boards on Pinterest are a collaborative board where multiple users can post simultaneously, and each post has potential to reach to all the member’s followers. If you want hundreds of repins and likes, then joining some big group boards is the only way that would be possible. You can find Pinterest group boards by using Pingroupie – a free tool for scraping group boards for any keyword, niche, or topic. You can also sort the list by some followers so as to find groups with huge followings. I prefer to join groups having at least 10k followers, but it can be changed depending on the niche. There’s no one-click way to get added to a group, and there aren’t any “join group” button to send a joining request to Facebook. Only the creator of the group, or other active members (if allowed) can add you to the group boards, and for that, you’ll have to find their contact details. Most of the group boards have contact information or the steps to follow for joining the group boards. There could also be a mention of the current status of whether a group board is accepting new members or not, take note of it which saves our time of pitching. While many others don’t clearly explain the procedures. Your best bet, in this case, is to send a personal message to the creator of the group (first user on collaborators list) and ask for joining. You can also comment on his/her latest pin if your messages are unanswered. Alternatively, try to reach out to other group members and ask ’em to add you. There you have it. 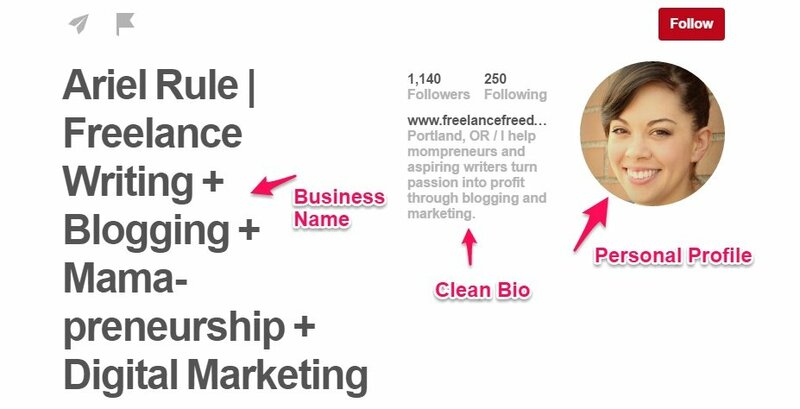 Seven of the best methods to create a personal brand on Pinterest and attract high paying clients as freelancers. 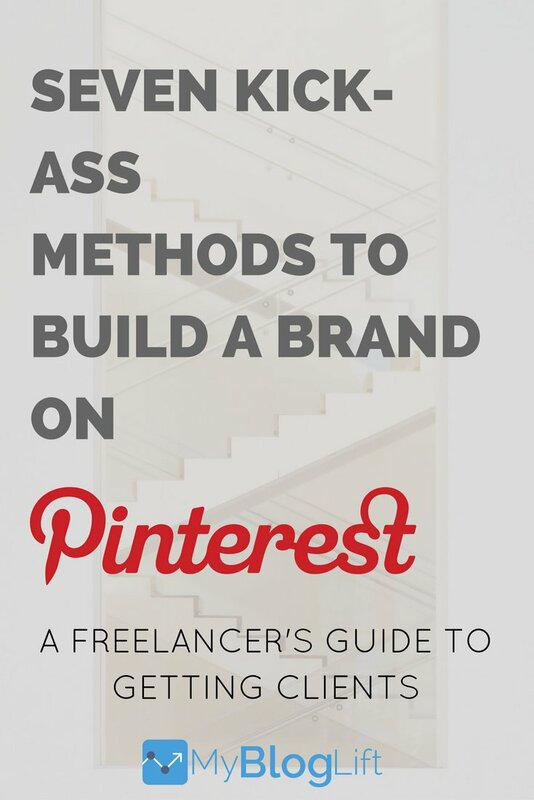 Have you used Pinterest to build your own brand? What are the outcomes you’ve received? Share your experience with us in the comments section. If you enjoyed reading it then help us spread the words and share the post with your friends. Also, take a few moments to pin the below image to your favorite Pinterest board. This Article to much informative. I learned something new. I think pinterest is really great platform for freelancers and marketers. I had great outcome through it and these tips are pretty useful. Pinterest is a great tool for traffic, but it is often ignored by Bloggers. I am glad that Pinterest is working perfectly for you.